Today we are going to celebrate the Milwaukee Brewers 12th straight win with some slow cooker style hot dogs. If you have been following any baseball games that are taking place right now, the Milwaukee Brewers are playing the LA Dodgers for a spot to play in the World Series. Yesterday the Brewers played the Dodgers in Milwaukee and they won they’re 12th straight game. The Brewers play LA in Milwaukee today and then they are off to LA. Best out of 7. If the Milwaukee Brewers head to the World Series, you can bet your bottom dollar that me and my husband will be in the stands at Miller Park! The Brewers haven’t gone to the World Series since 1982, so chances are this will be the last time, in my life time anyway, that we would be able to attend. Hopefully, they will make it to the World Series but even if they don’t, we will continue to root for the Milwaukee Brewers. Why? Because we’re baseball nuts! 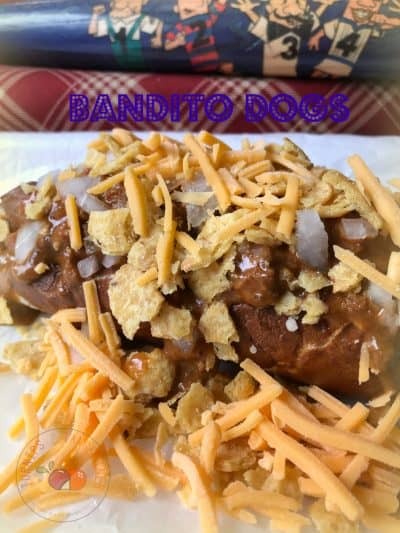 Made in the slow cooker, Bandito Chili Dogs can be toted anywhere! 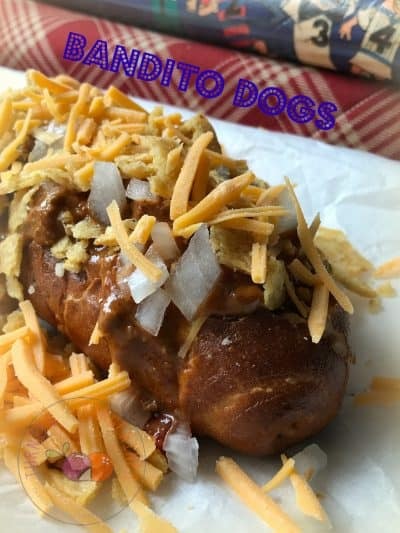 Place hot dogs in a 3-qt. slow cooker. 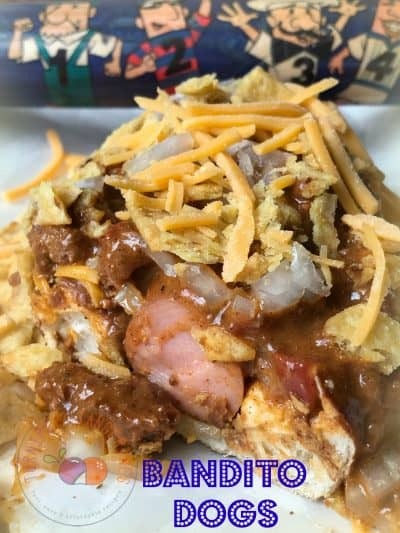 In a large bowl, combine all remaining ingredients; pour over hot dogs. Cover and cook on low for 4-5 hours. 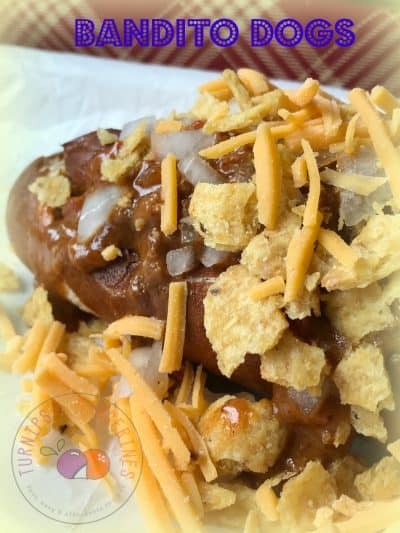 Serve hot dogs in buns; top with chili mixture, onion, corn chips and cheese. Here are a few more recipes you might also enjoy! Smashed Multicolored Little Potatoes, Stuffed Chicken Breasts Reuben Style and Slow Cooker Bananas Foster, Slow Cooker Spicy Mac n’ Cheese, #Choctoberfest 2018 with Imperial Sugar.